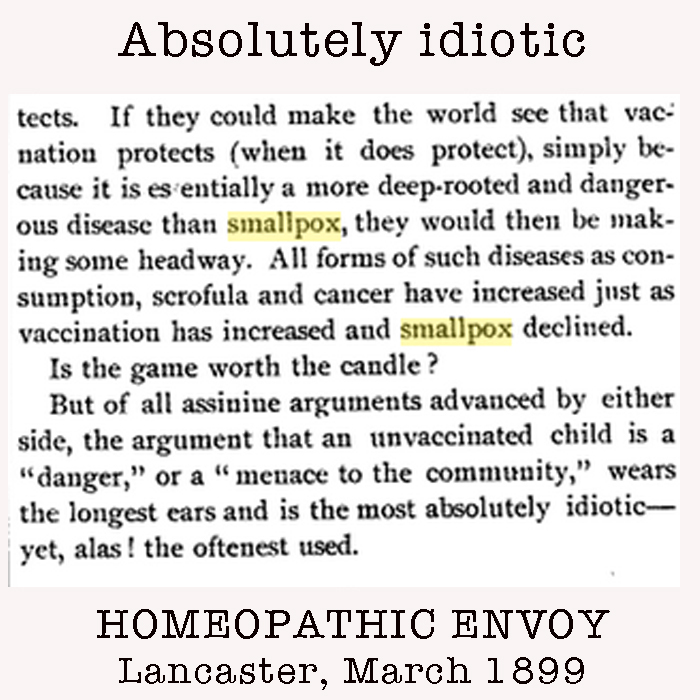 Vaccination campaigns were NOT responsible for the elimination of either polio or smallpox. 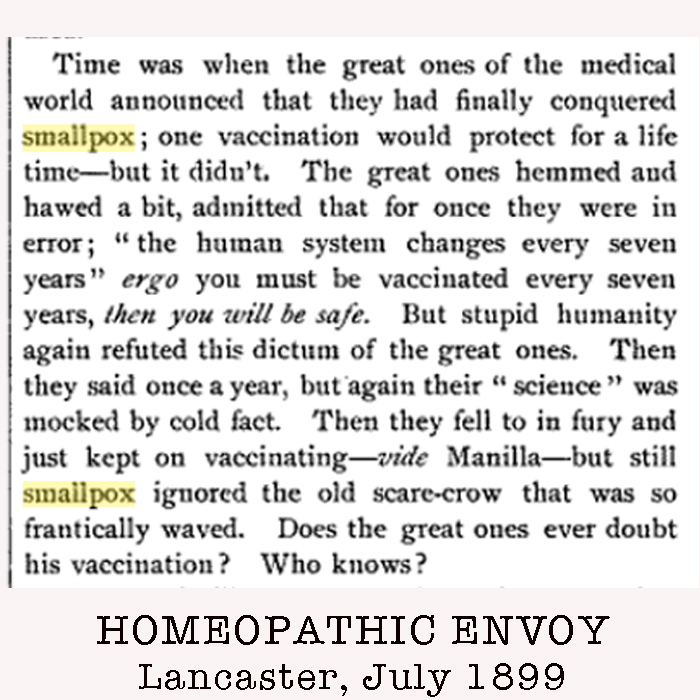 Both appeared to have disappeared through a combination of redefining and renaming infections after the introduction of vaccine programs, natural immunity, improved living conditions, and good old-fashioned detection & isolation. 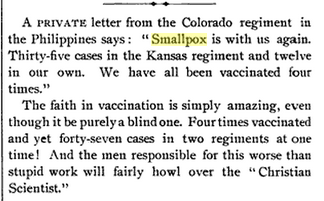 The true histories of polio and smallpox are far different from the myths widely circulated. 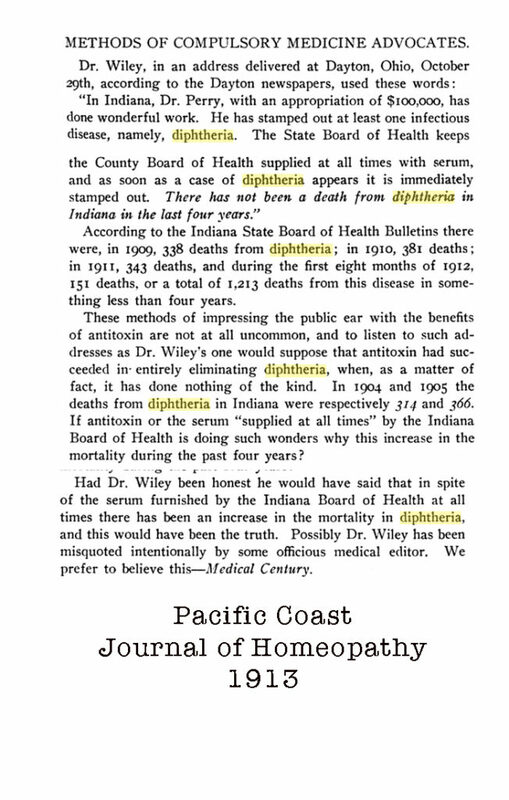 A search of primary historical materials reveals this. 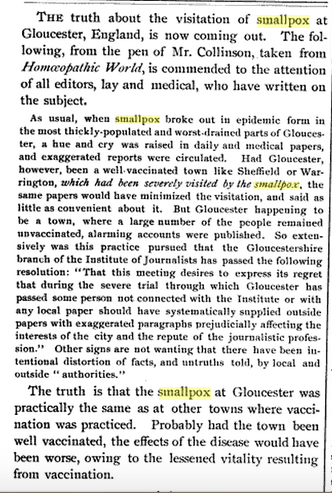 Today, the smallpox vaccine is not administered, and when it is ever suggested because of bioterrorism threats, there is great debate about how it would be used because the dangers of the vaccine are very well established. 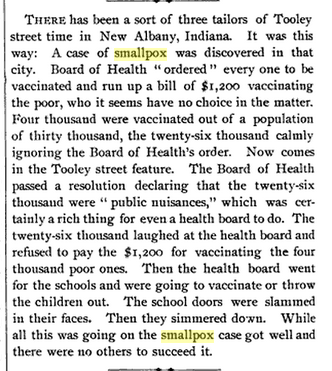 Below are a few clips of medical journals from the late 1890’s through the early 1900’s on smallpox.